And now there really is no reason. Planning kosher events has become easier now that hotels are spending more time and money making sure guests who eat kosher get something other than a pre-packaged meal. Some are even preparing their own kosher meals in-house, under the supervision of a rabbi and in a kosherized kitchen, rather than ordering food from a caterer. The hotels have noticed that more people are eating kosher, and that they are willing to pay extra for kosher food of higher quality, says Bob Diener, co-founder of Getaroom.com, a hotel booking website. • The Ritz-Carlton earlier this year partnered with MD Destinations, certified by the Orthodox Union, to elevate the quality of kosher meals at select properties including those in Atlanta, Naples, Coconut Grove and New York. MD Destinations provides on-property Rabbinical supervision, equipment and guidance. • The Crowne Plaza Chicago Metro Downtown hotel has an on-site kosher restaurant, Metro Klub. The restaurant serves a gourmet business lunch from 11 a.m. to 3 p.m., Monday to Thursday. • The Westin Galleria Dallas has a dairy-free kosher kitchen that is separate from the main kitchen. It has separate sets of dishes, utensils and cookware. • To meet demand, Kimpton’s EPIC hotel in Miami added a second kitchen for special events. When needed for kosher events, the hotel asks a rabbi to inspect the kitchen. Hotels outside of the U.S. are also increasing their kosher offerings. The St. Regis Mexico City has a dedicated kosher kitchen. All kosher events are supervised by a rabbi. “Having a kosher kitchen opens up a new market and opportunities for the hotel within the kosher community, including weddings, which is a particularly important sector for us,” says Oscar Alvarez, director of food and beverage for the hotel. 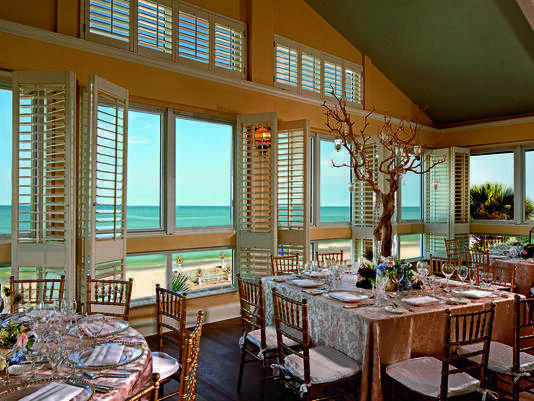 Bruce Seigel, market director of sales and marketing for The Ritz-Carlton Resorts of Naples, says that hotels have typically responded to requests for kosher meals by hiring a caterer to cook the food off-site and having in-house cooks re-heat it. “It’s pretty mediocre at best,” he says. Now Ritz chefs prepare the food on-site with the supervision of MD Destinations. Preparing kosher food is not easy or inexpensive, Seigel says. Chefs have to be trained to follow kosher dietary laws, which include ensuring that meat and dairy products are not cooked or eaten together. That means that cooks have to use separate sets of dishes, utensils and cookware. Kitchens have to be cleaned in a particular way. The products themselves have to be kosher. Katz, who’s been catering for 36 years, says she believes kosher food will get even better as chefs learn to cook for different dietary needs.”It’s the wave of the future,” she says.